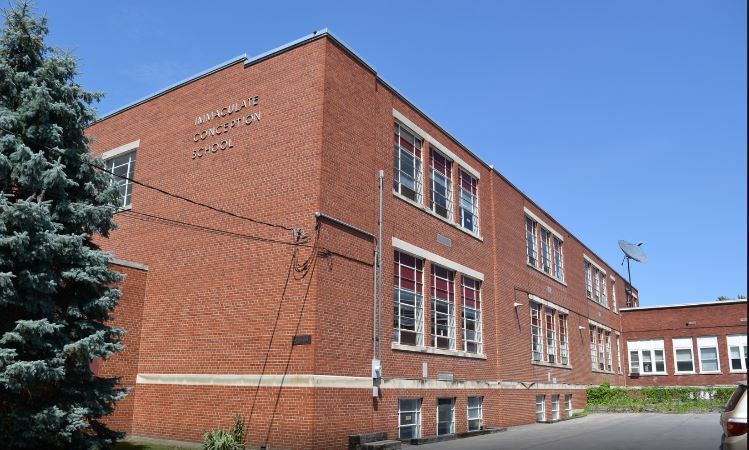 The Roman Catholic Diocese of Rochester, New York has issued a Request for Proposals (RFP) for the purchase and redevelopment of the former Immaculate Conception School at 320 West Buffalo Street in Ithaca. The school closed in June 2017 as the result of declining enrollment and sustained operating defects in regional parishes. Since that time, several non-profit and for-profit developers have informally proposed renovating existing buildings and adding new structures for affordable housing or mixed-income housing on the site. The 12-page RFP, which is being managed by local commercial realty firm Stephen Lipinski Associates, lists three parcels with 2.29 acres and 59,000 square feet of existing built space. 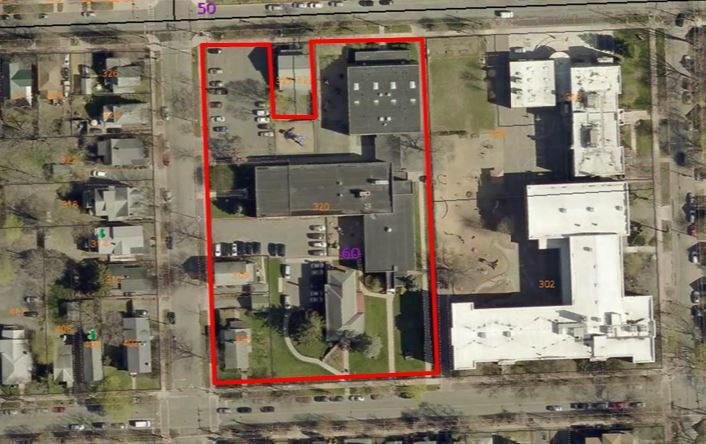 That includes the school, the former convent turned office space for Catholic Charities, and the single-family and two-family homes the church owns. Images courtesy of Stephen Lipinski Associates.